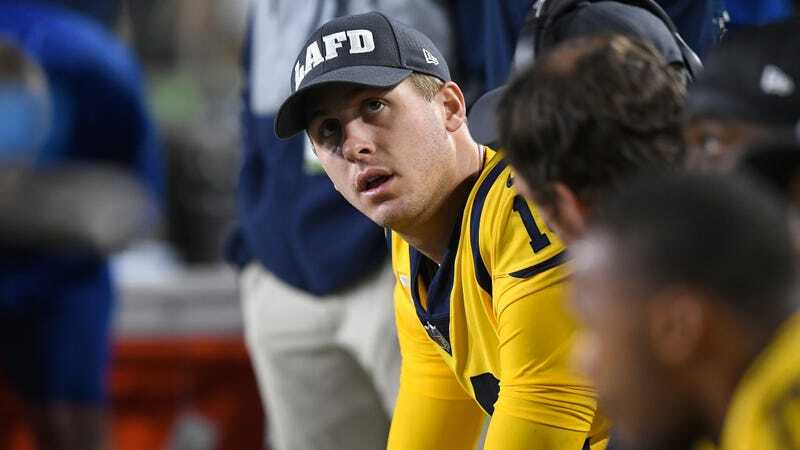 Is Rams Quarterback Jared Goff Funny? ESPN Investigates. There’s sometimes a smirk or raised eyebrow. And it’s often coupled with a sly, dry barb launched at a reporter or aimed at a teammate. 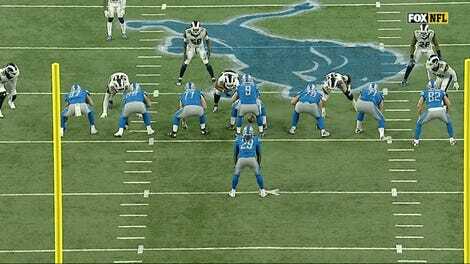 Take Week 14, when a reporter asked, innocuously enough, how would the Rams quarterback prepare to play a defense that had intercepted a league-high 21 passes? “Try to throw it to our guys,” Goff deadpanned. The response drew a chuckle from the small media contingent, and that smirk appeared on Goff’s face. It was another unexpected zinger from Goff, who is routinely dull in his delivery but chooses his spots wisely. That’s not a zinger, at least as the idea of zingers is generally understood. Thiry is also already leaning pretty heavily on the observation that Goff smirks a lot, but he did make something resembling a joke so I’m on board. So what other funny things does he say? Nodding along, seems funny, can you give an example? No? Cool, then let’s hear more about his sense of humor. Goff’s humor is dry and nonchalant. He’ll deliver a one-liner, then continue like it never happened. But what does he say in those one-liners? In a Week 4 victory over the Minnesota Vikings, Goff passed for 465 yards and five touchdowns, and posted a perfect pass rating of 158.3 to become only the third quarterback in the Super Bowl era with at least 30 attempts to do so. The deadpanning again. Not sure that one’s funny, but maybe it was a delivery thing. What about his parents? Moms and dads always think their kids are hilarious, this will be good! This kind of sounds like Jerry had never really thought about the possibility that his son might be funny until a reporter came asking about it. What about Goff’s teammates? Gotten you a lot how?? “I’m sure he’s funny when I’m not there” isn’t very compelling testimony, either. When asked where his sense of humor originated, Goff raised his eyebrows. “What sense of humor?” he said. Oh, and also this dog trying to eat bacon off its face. 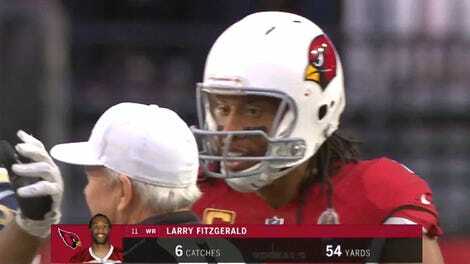 Larry Fitzgerald Says Ndamukong Suh Poking Him In The Eyes Was Just "Clowning"